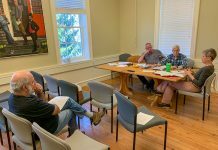 On Thursday afternoon, the Oak Bluffs Roads and Byways Committee met to continue its discussion of whether to launch a Park and Ride Service this summer. The goal of the program is to alleviate parking congestion in downtown and along the bulkhead during the busy summer season. The primary audiences for this service are business employees in downtown and commuters who use ferry service to and from the town docks. The proposed parking lot, which is already owned by the town, is at the corner of Pacific Avenue and School Street behind the Catholic Parish Hall and adjacent to the town hall and library. The proposed Park and Ride route would run back and forth from that lot to Ocean Park downtown. Angela Grant, Administrator of the Vineyard Transportation Authority (VTA), described two options for consideration. One is “split schedule” with a break in service in the middle of the day. A full schedule running continually from 8 AM until approximately 8:30 PM is the second proposed plan. Rough cost for the split schedule is $40,000 and the full schedule is anticipated to be $62,000. The first year program would run for 74 days, from June 20 to September 1st. There appeared to be consensus on the committee and in the audience that either schedule would meet the needs of day shift employees downtown. Who will pay for the service? Oak Bluffs will be responsible for funding the project. But Ms. Grant said that she is hopeful the state transportation department will assist with some funding. 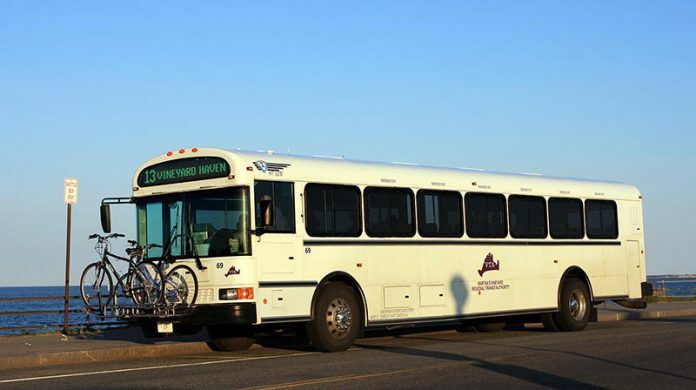 And, given its support of the existing Park and Ride in Tisbury, the Steamship Authority is also a potential funding partner. The VTA needs a final decision on the project within the next couple of weeks if it is going to able to include the information on its summer route map. There is a printing deadline as well as a planning timetable to be met. 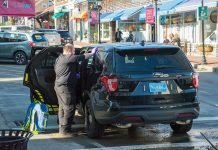 Michael Santoro, committee chairman and Oak Bluffs selectman, proposed that the issue be decided at the next selectmen’s meeting on Tuesday, February 24th. The vote on that motion was unanimous.